This page allows you the extra fun of watching me, in my studio, recording this episode. Prefer to read this content? There’s a Jeannie Burlowski article on this same subject here. Read Jeannie’s article on the hilarious strategy that makes kids want to earn money for themselves here. See Jeannie’s favorite quotes from Meg Jay’s book The Defining Decade here. See Jeffrey J. Selingo’s Washington Post article here. 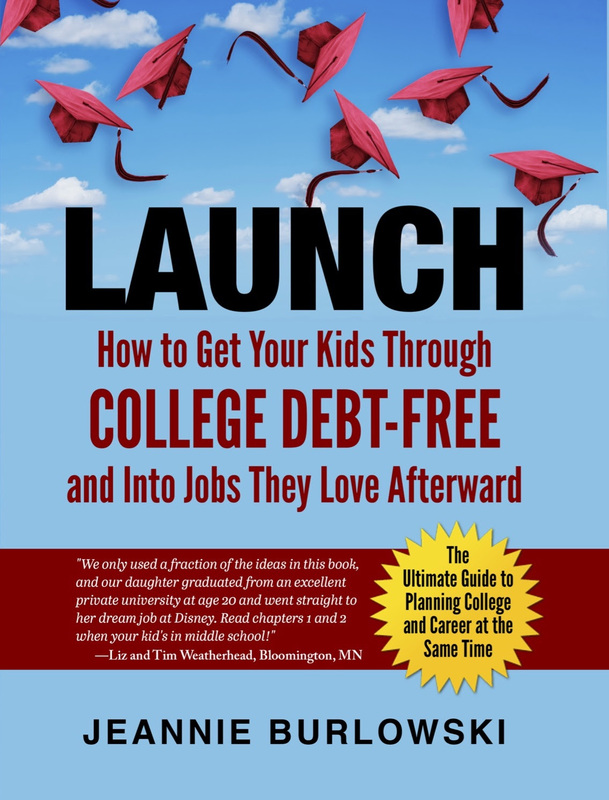 Remember, helping your child to learn about real world work early on is only a small part of the picture when it comes to getting your kid through college debt-free. What thoughts do you have about teens working part-time jobs? Comment below or LIKE Jeannie Burlowski Author on Facebook, find this post on that page, and let’s talk about it there.